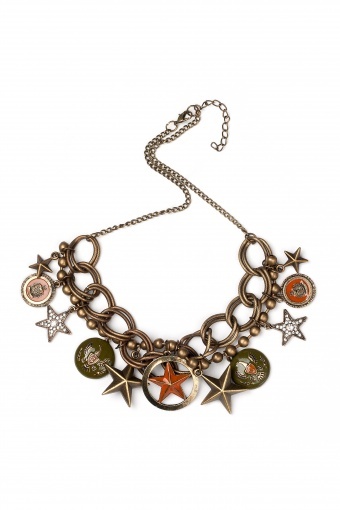 Military Charms & Stars necklace. 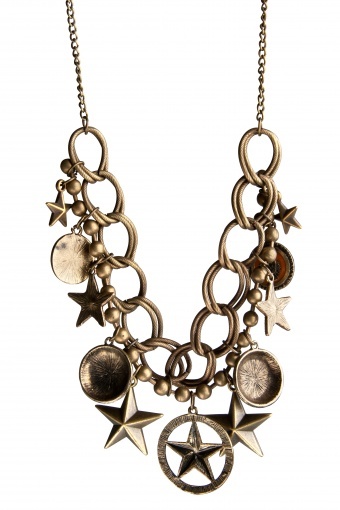 One of a kind antique bronze tone chain necklace. The charms are truly special, partial enameled in matching green and red tones and very detailled. 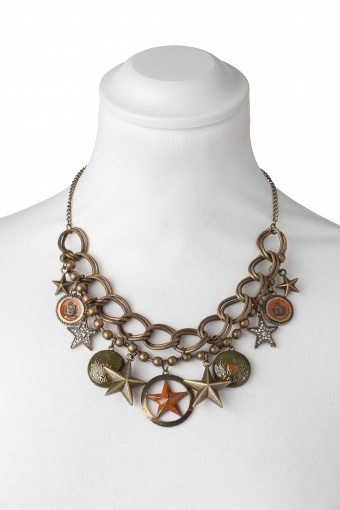 Two of the star charms are richly covered with rhinestones.